We have a DVD giveaway this week for our American readers. We have a couple copies of Leo Scherman's wartime horror film Trench 11 to give away. His film is releasing today on home video but if you want to hold off for a couple days by the end of the week we will give two lucky readers in the U.S. a DVD for free. Here is how you can enter. We will post a fact finding question below. You find the fact and email us here and all correct entrants will be entered into a random draw after midnight PST on Friday, September 7th. Ready? 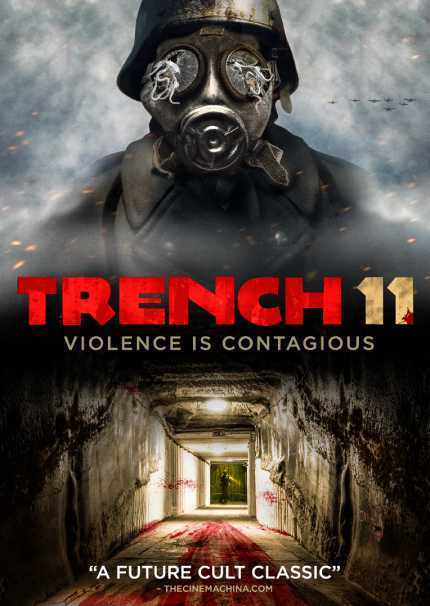 From which genre film festival did Trench 11 take home four awards? When you have found the correct answer please email us here and you will be entered into the random draw. This giveaway is open to U.S. residents only and will close at midnight PST on Friday, September 7th.